Hello Everyone! Here we are at Friday again. 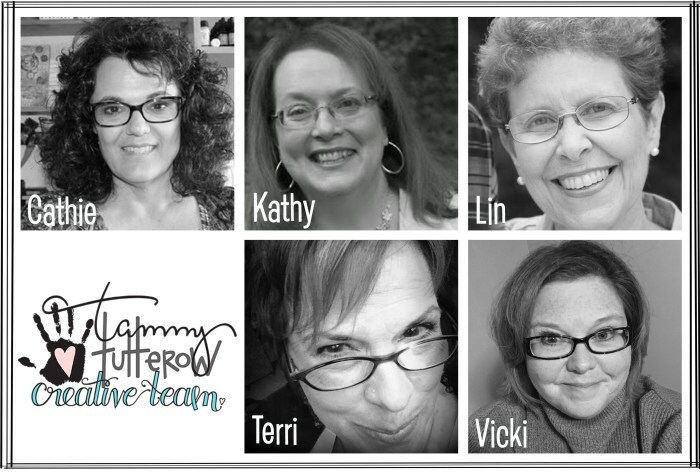 You know that means "Five for Fridays" with the Creative Team for Tammy Tutterow Designs. I always look so forward to this, because I truly look so forward to seeing the things these talented ladies create. 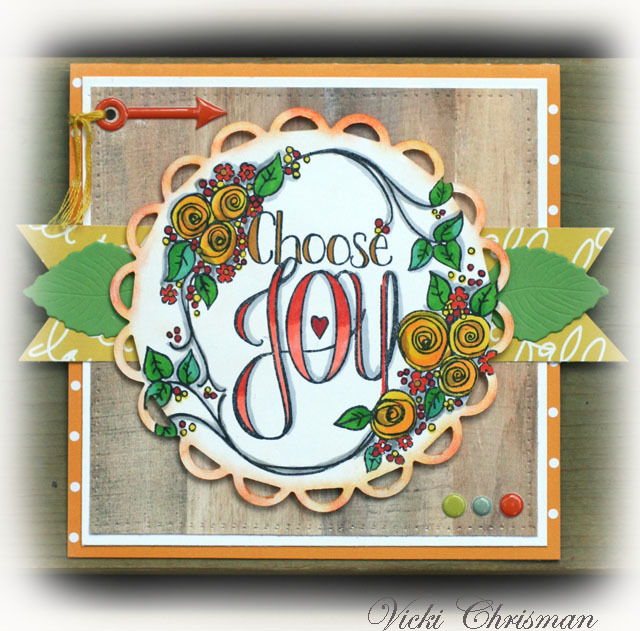 There is a card I created using Tammy's "Choose Joy" stamp. 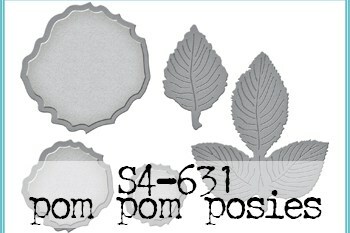 The leaves are one of Tammy's die designs with Spellbinders and round scalloped die is a Spellbinders. It's been a while since I've created a square card. I love creating large square cards like this to add to a gift basket or to add to a gift bag ( without an envelope). I used Tombow markers for the majority of the coloring and a Copic Cool Gray #3 for the shadowing. The papers are from Fancy Pants Designs. Now, off to see what the other ladies have created. You can check it all out here on Tammy's blog! I love that you used fall colors for this wonderful card, Vicki! That woodgrain background shows off Tammy's sweet design to perfection! Oh Vicki, this is so pretty, I love it! Everything is put together perfectly and I love the fall colors. Beautiful!